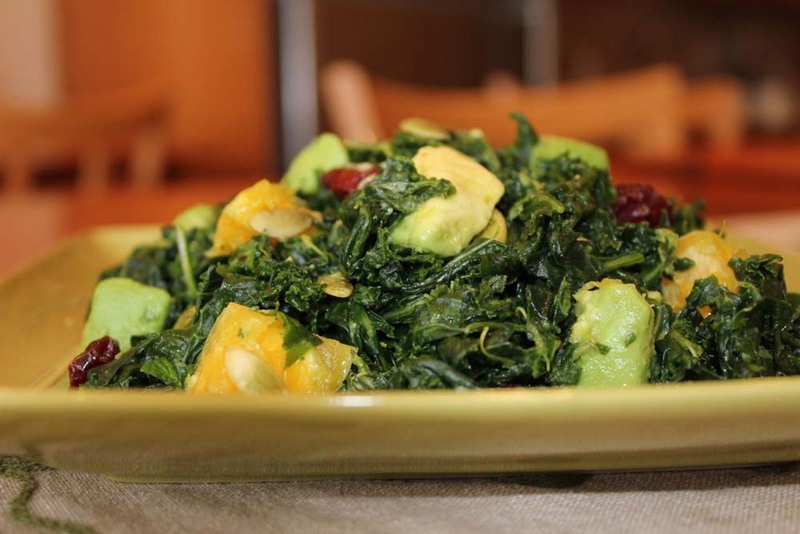 Kale is an excellent source of nutrients, raw or in a sauté. Try adding this fresh, flavorful raw kale salad to your meals and reap the nutritional benefits! In a large salad bowl, place the kale and olive oil – massage, rub and get nice and friendly with the vegetables until the kale begins to wilt and release some moisture, about 2 1/2 minutes. Add the avocado, lemon and orange juices, pumpkin seeds, cranberries, mint, orange segments, salt, pepper, lemon zest. Mix until combined. Serve and Enjoy!